The park was created in 1993 spreading over an area of forest which makes the largest in Sicily. Its inhabitants have preserved the uniqueness of this setting, keeping their differences from the rest of the island by their language which still has some features of the French-Lombard dialect. 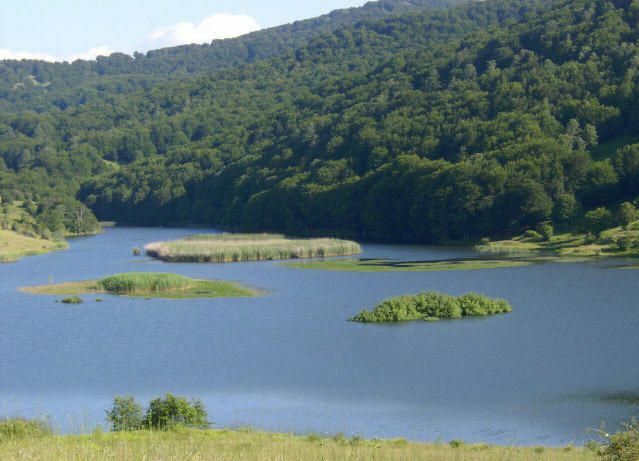 The forest is situated between 1200 and 1500 m above sea level and preserves beech, oak, elm, ash, cork, maple, yew which shelter wild animals such as porcupines, San Fratello horses, wildcats, golden eagles, lanner and peregrine falcons and griffon vultures. The pastures have provided cows, sheep, horses, goats and pigs with grazing land. 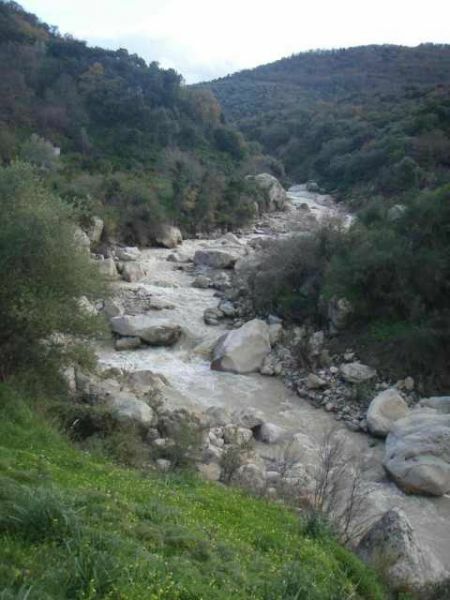 The area also provides excellent conditions for communities which base their economy on gathering mushrooms and producing large amounts of ricotta. Monte Soro, which reaches 1847m at its summit, is the highest point of Parco dei Nebrodi. The park comprises a few villages which still keep the Sicilian life style. Experiencing their traditions, food and way of living is magical. 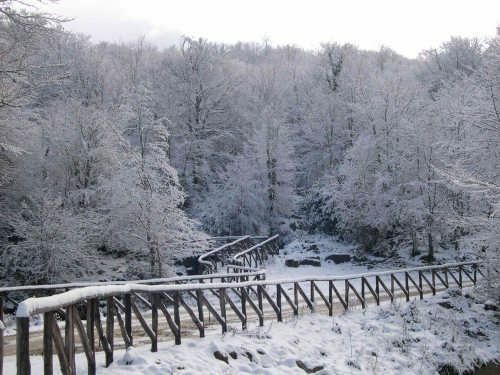 The little information about the park that can be found is provided by the park office in Cesarò which supplies published information and maps, the information office in Alcara di Fusi or refer to the following link: www.parks.it/parco.nebrodi or www.parcodeinebrodi.it (written in Italian). Leaving from Sant’Agata di Militello, along the SS289 San Fratello lies 18 km away from Sant’Agata di Militello. Adelaide di Monferrato, Roger I’s wife founded the town for her Lombard relatives, who brought their dialect to the region. She also had Santuario del SS Fratelli constructed in the 12th century which still can be visited. On Maundry Thursday and Good Friday the Feast of the Jews is celebrated. It has brought the town fame and notoriety. Drive along the SS289, on your left, you pass Monte Soro and reach Cesarò where the park office is. There is another road which leaving Sant’Agata goes east and you can arrive at San Marco d’Alunzio after the first turn off inland and some drive. San Marco has a Greek origin but was taken by the Romans who used to call it Aluntium from which part of the town’s name derives. The Temple of Hercules is a splendid sight at the town gateway offering precious views of the sea. When the Normans occupied the region they erected a church on the red marble of the Temple of Hercules. This church has lost its roof some time over the centuries. Almost all old buildings in San Marco and 22 churches in its totality were built with marble extracted locally. Chiesa di Santa Maria delle Grazie excels in beauty compared to the other churches and houses Gagini’s Madonna with Child and St John statue. San Marco boasts the first Norman castle built in Sicily of which there are only vestiges at present. Robert Guiscard had it constructed in 1061 on the upper part of a hill. The Museum of Byzantine and Norman Cultures is next door to Chiesa di San Teodoro located outside San Marco to the south. It houses frescoes from the churches in San Marco. From San Marco to the southeast you will find Longi which is a trekking base and to the southwest the village Alcara di Fusi has an information office and the golden eagle’s nestling site in the imposing Rocche del Crasto reaching 1315m. above sea level. Another road cutting through the park goes south from Capo d’Orlando. It reaches Floresta situated 1275 m above sea level making the highest village from where descending to Randazzo offers magnificent vistas of the scenery and Mount Etna. BY BUS: there is a daily bus running from Catania to Sant‘ Agata di Militello ( a gateway town to Parco die Nebrodi), calling at Portella Femmina Morta where you can join the lake circuit walk. BY CAR: having a car is a must to make the most of the park. There are roads connecting different towns such as the SS116 from Capo d’ Orlando to Randazzo, the SS117 from Santo Stefano di Camastra to Nicosia. The SS 259 goes through the park connecting Sant’Agata di Militello with Cesarò.